MATLAB portal will be refreshed with a new design on November 15, 2018. The transition will be seamless: there is no change to end user workflow and the URL for your MATLAB portal remains the same. Information Technology Services (ITS) is excited to announce that through the partnership of numerous academic and business areas, Washington State University signed an agreement with MathWorks, effective August 20, that provides access for all our students, faculty, and staff across WSU to MATLAB, Simulink, and certain supporting products. Thanks to the Deans and Chancellors across WSU for collaborating on this project and providing the funding which made it possible for all WSU community members to access this software. 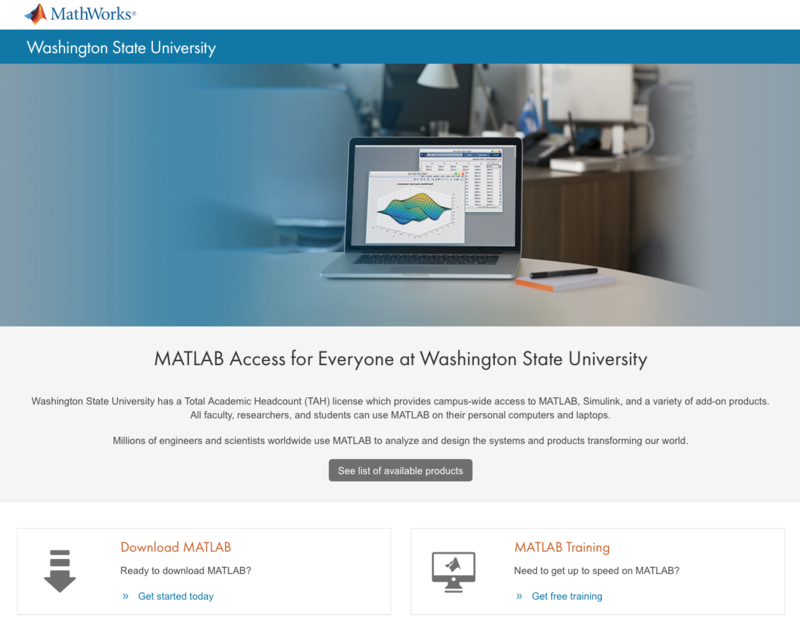 Washington State University’s MATLAB and Simulink license includes analysis, design, modeling, simulation, code generation, and testing products for the engineering and science schools, plus computational finance for the business and economic schools. This is a terrific start to a new academic year at WSU, and your ITS team looks forward to identifying new paths toward further transformative student experiences, exceptional research support, and even stronger institutional effectiveness. All my best and Go Cougs! For instructions and to download the software go to Washington State University’s MATLAB Portal. How do I get MATLAB? 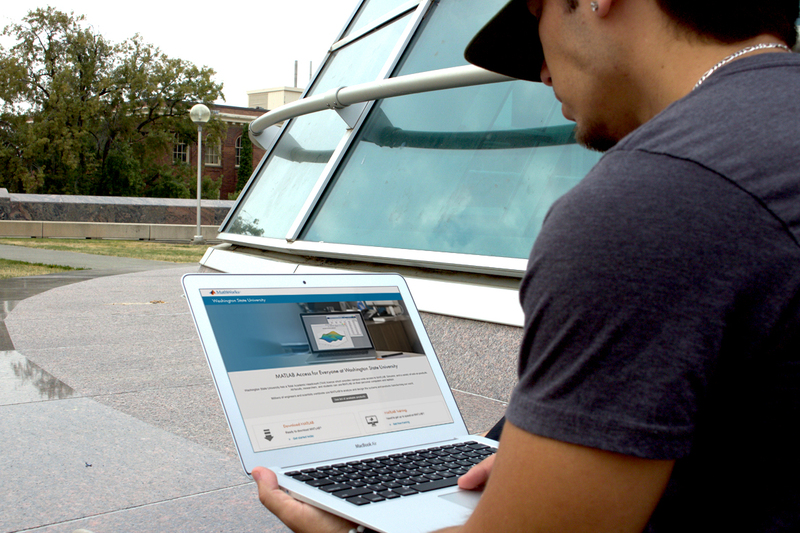 Follow the MATLAB Portal link, then click ‘Get started today’. What can I do with MATLAB & Simulink? mathworks.com/academia/students Create cool projects, join student competitions, do innovative research, and more. I’m new to MATLAB. Where should I start? Follow the MATLAB Portal link, then click ‘Get free training’. Learn the basics or get a refresher even before classes start. Choose from 2 free online courses. Can I use MATLAB on my Phone or Web Browser? Use MATLAB Online and the MATLAB Mobile app to run MATLAB from a browser or connect to a MATLAB session on the cloud.